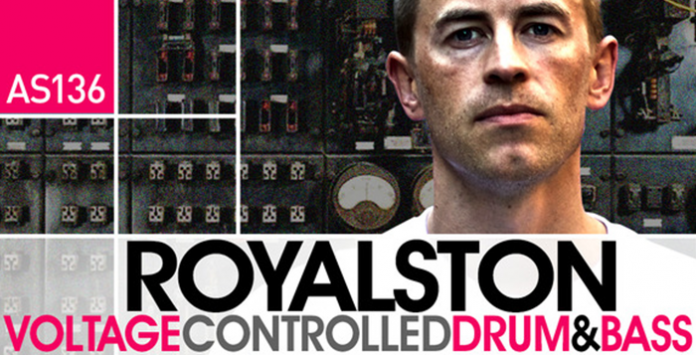 Loopmasters & Hospital Records come together once again to bring an incredible collection of Royalty Free Drum & Bass samples produced by the insanely talented Dylan Martin AKA Royalston. Voltage Controlled Drum & Bass is powerful collection of raw gritty DnB designed for ultimate dance floor devastation featuring Driving Energetic Breaks, Deep Rolling Subs and Filthy Distorted Basses and a stunning collection of Atmospheric Pads and Music Loops plus a wealth of one shot and multi sampled instruments. The highlights of this collection are the samples from Royalston’s hardware modular synths which have been connected and tweaked live to produce a sinister audio backdrop for your Drum and Bass productions. Expect to find everything from Mechanical Bleeps to Twisted Arpeggios. The collection also features 40 modular percussion loops which can be used as sound effects or crazy organic rhythmic top loops. Sydney-based, classically trained, DJ / producer Dylan Martin (middle name “Royalston”) has been listening to Drum + Bass since ’93, producing for 12 years and DJ-ing for about 10. A man of many talents, Royalston is also an illustrator / designer and first got into music production when he was making a soundtrack to a 3D animation. A future star in the making, Royalston started producing on pre-cursor to Reason, Propellerheads Rebirth, along with an old groove box called a Yamaha RM1X and is now a hardened Ableton addict. Wanting to learn more, Royalston went and studied piano and composition and has gone on to write music for documentaries, educational programs, video artists and a few TV commercials. His music is characterized by a raw, analogue sound with a tech-y edge (thanks to plenty of hardware like his favourite Korg MS-20) and he has released on labels such as Bad Taste and Black Acre before signing exclusively to Med School in 2012.